I am always super impressed with the creativity and drive these women posses. They inspire me to keep going. To continue creating. We all met from the internet over the last 3 years. From there, I’ve had the opportunity to create and design each of their logos and blogs—so naturally they hold a special spot in my heart. We never aim to compete but to encourage each other and keep striving for more. 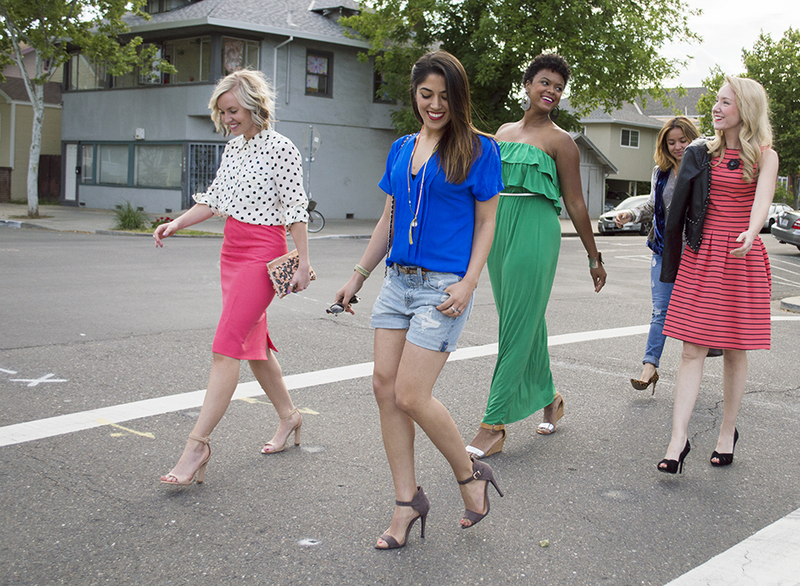 They are Sacramento’s Fashion Bloggers. My sidekick Vanessa of Babe-Sicle, asked us 12 questions, in my opinion, I think we laid it all out on the table! Take a moment to read the article here on City Scout. More pictures there too! so much pretty in one post! can’t wait to check out the article! I’m so excited and proud for us! Love working with you! Really stunning blog. i love all your friends outfit..